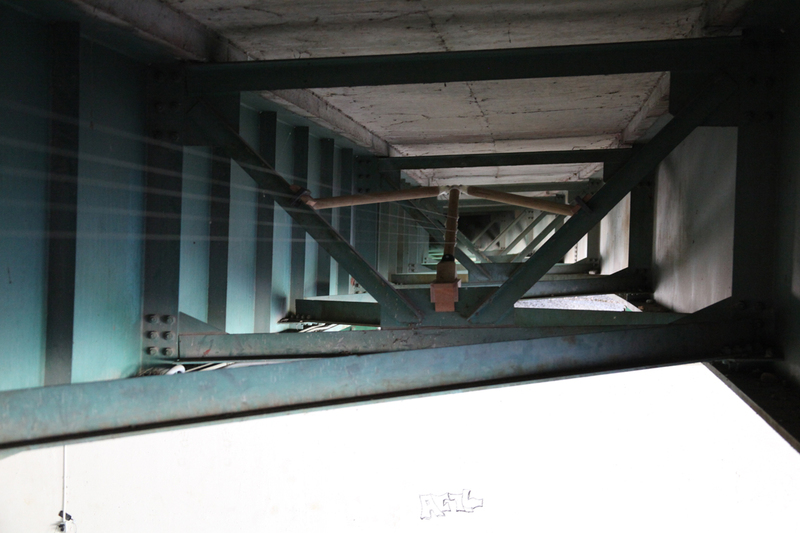 A long string harp installed in the girders of a bridge. 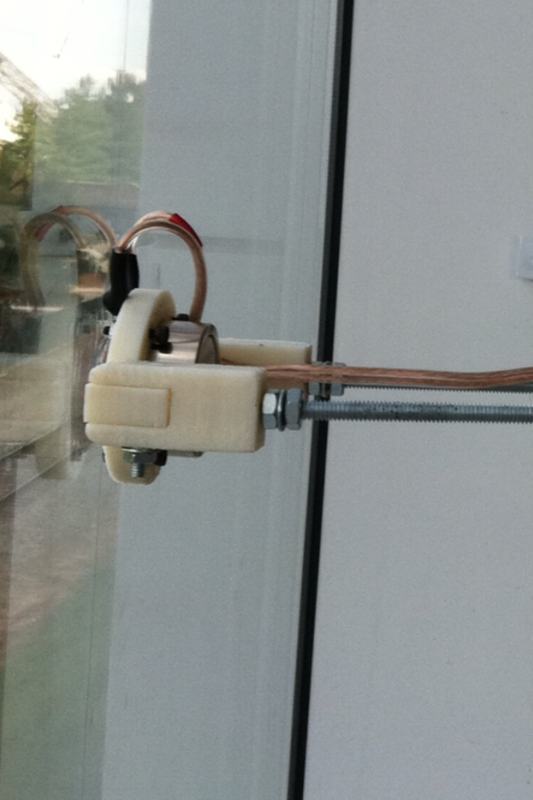 I made some of the hardware and connectors with a Makerbot, an Arduino plays a score by activating vibrating motors attached to the strings. 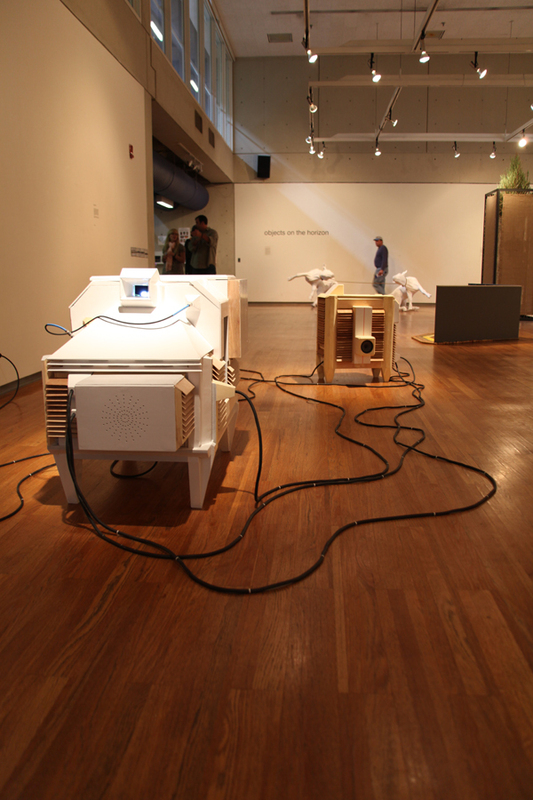 Installation images are here. thanks to Tyler Cooney, Jesse Bruen, Paul Orlady, Katie Hudson and Dylan Orlady for their assistance in putting this together. 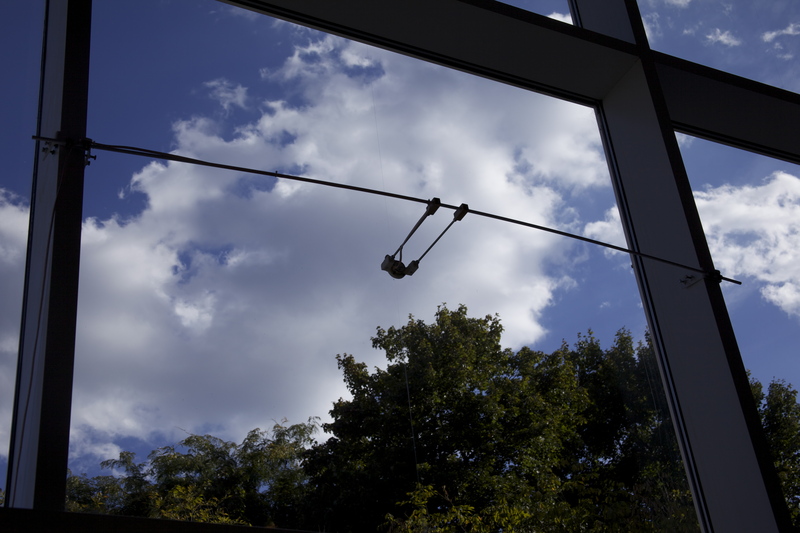 Transducers were installed across the museum’s Great Hall, turning the windows into speakers. Jesse created the tracks in Live and I made a PD patch to run the installation and affect changes over time. 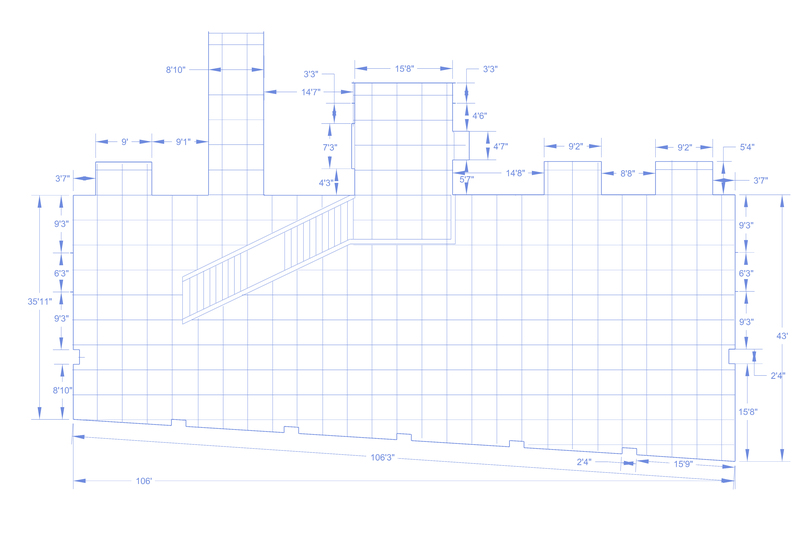 This was the largest space I have worked in and the most challenging installation, in technical terms, for me to date . 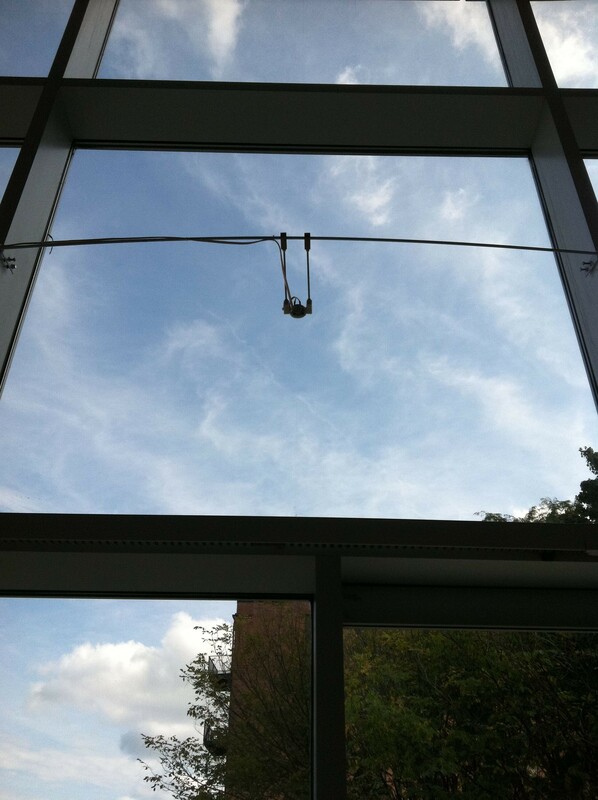 We ran speaker cable at lengths of over 200′. 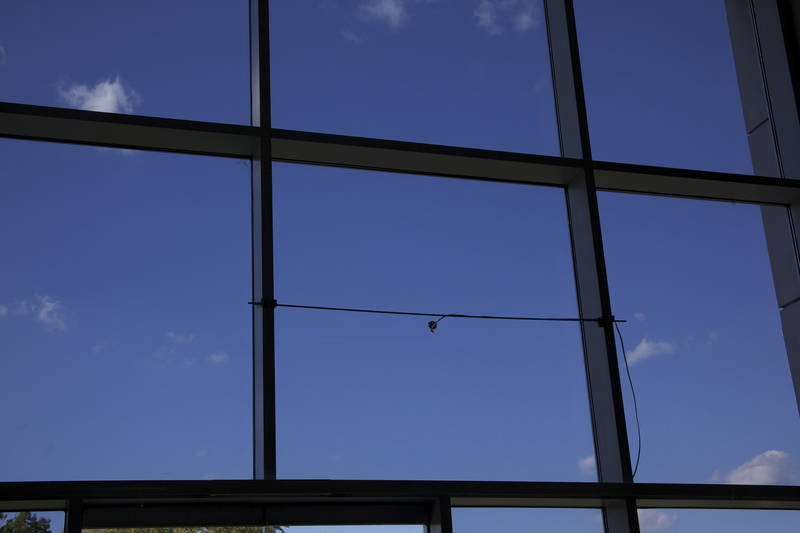 Everything had to be retuned once we got it installed to accommodate for the acoustic properties of the glass and the room. Lots of low frequency sound mixed with much higher peaks in a very active space. 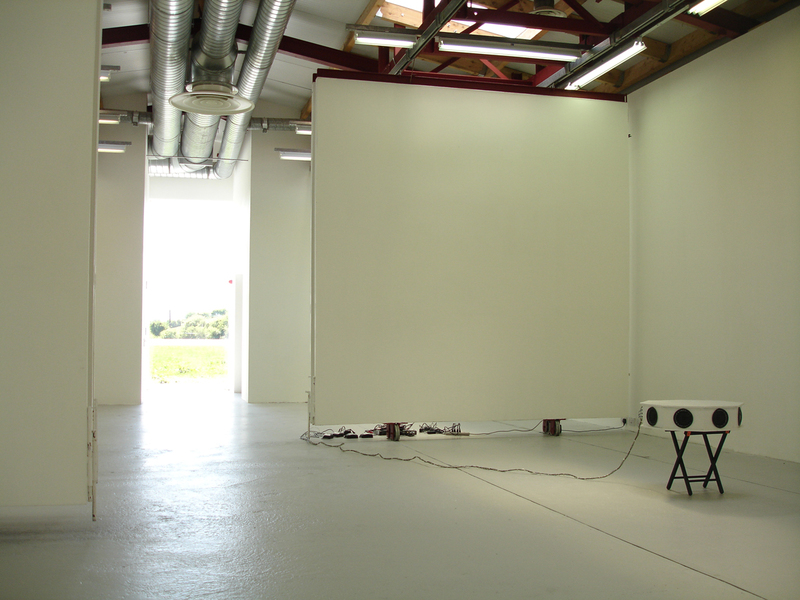 It was also one the most rewarding experiences- the spatial separation of the sounds was notable across distinct points in the room where the sounds combined, noises cancelled, or other unique audio events happened from boundary loading, etc…created a sonic lattice. The way the glass of the large windows moved with the sounds was fascinating. I made the mounting brackets from 3D models, printed with a makerbot, simple hardware, and steel brackets I welded together to mount on the large window frames and support beams in the hall. sounds of original tracks before installation and installation recording are or will be found on my SoundCloud page. 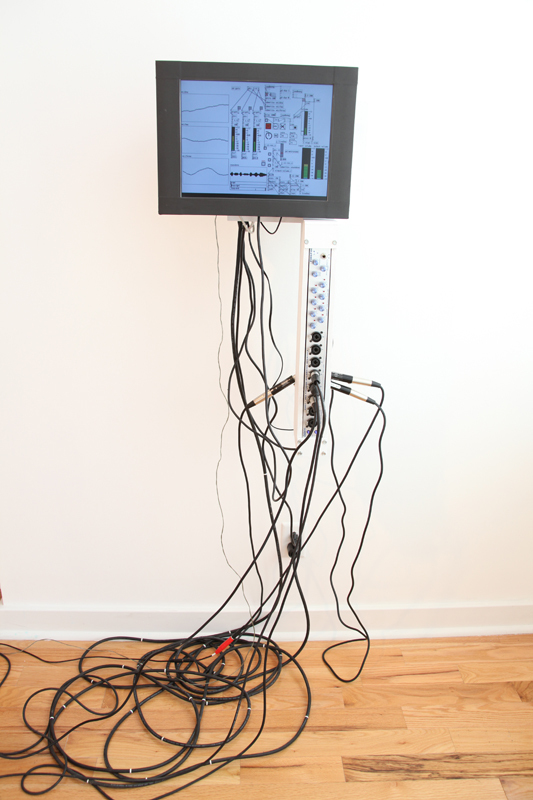 That Intricate Never uses pre-recorded and synthesized sounds that are played across eight audio channels and re-sampled periodically by two directional (shotgun) microphones. 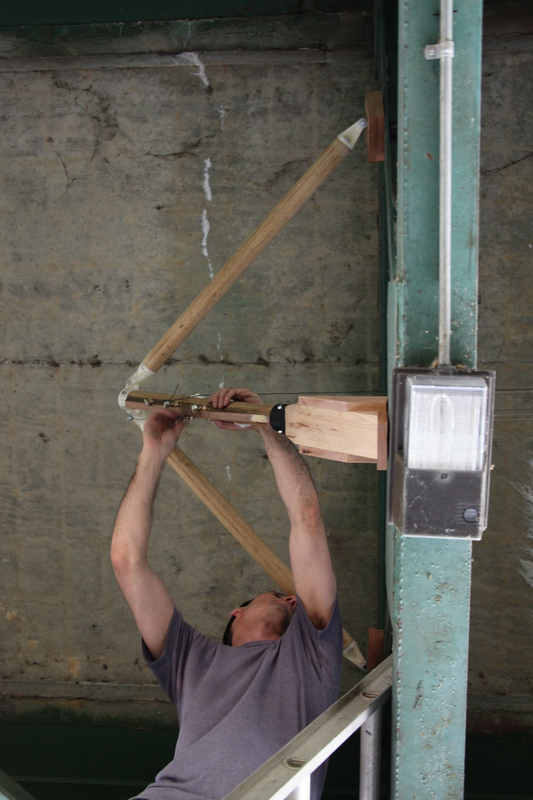 The process is initiated by introducing a simple sound into the room. 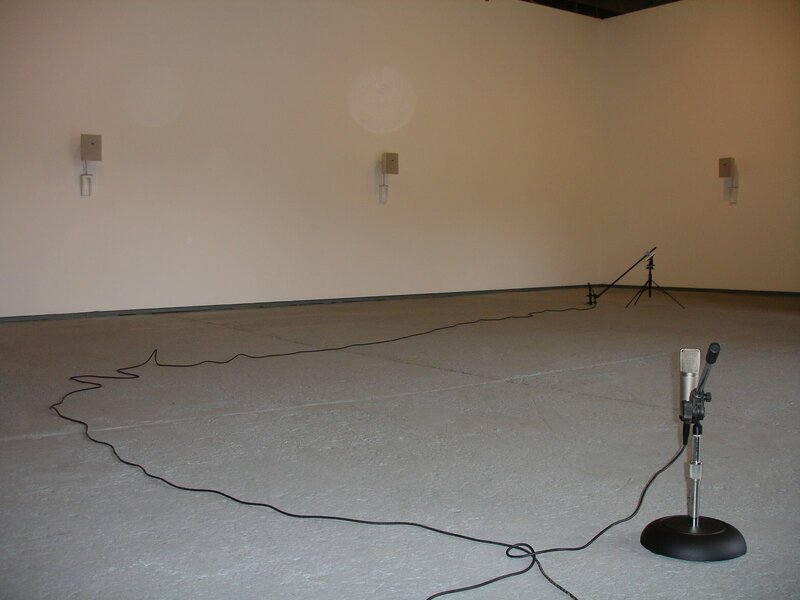 The microphones recapture the sound as it decays from specific points in room so it can be analyzed. 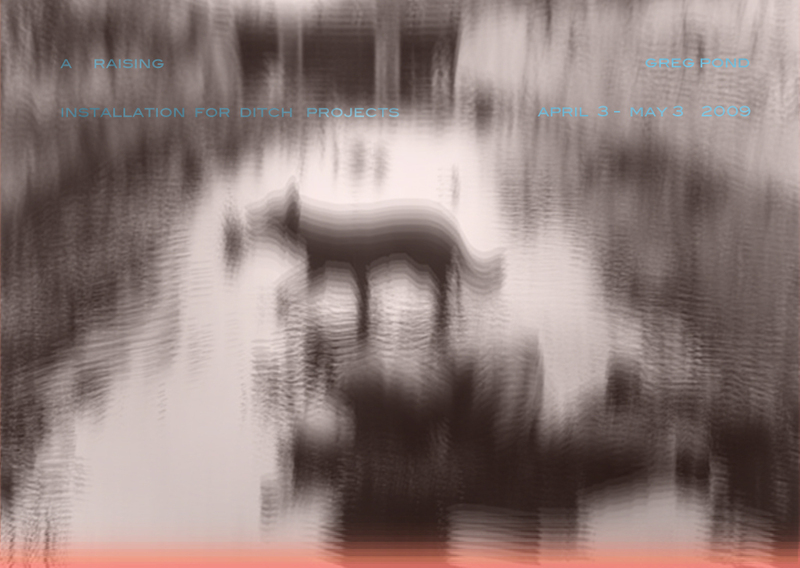 The software is written to generate changes in the sound and build varying intervals of density according to what it “hears.” The interplay between the coded behaviors, the acoustics properties of the room, and other incidental sounds combine to make a shifting but designed compositional structure. 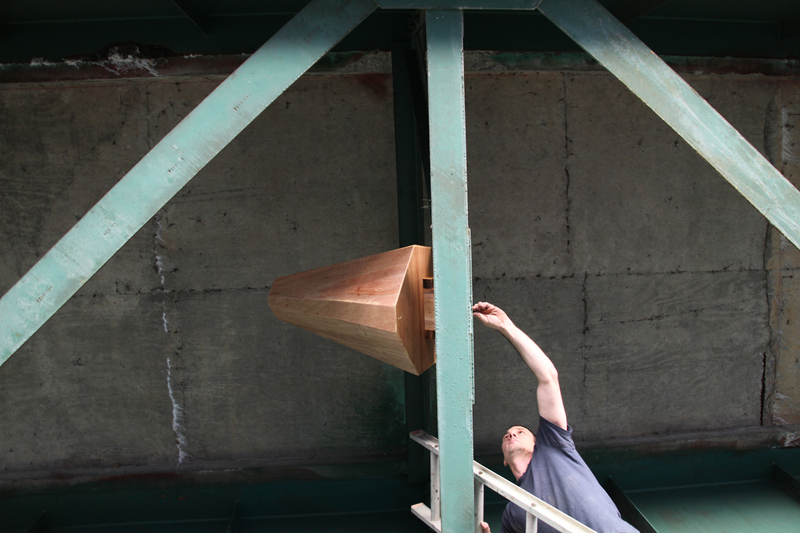 The sounds are shaped by the building, the sculpture itself, and whatever else is present. 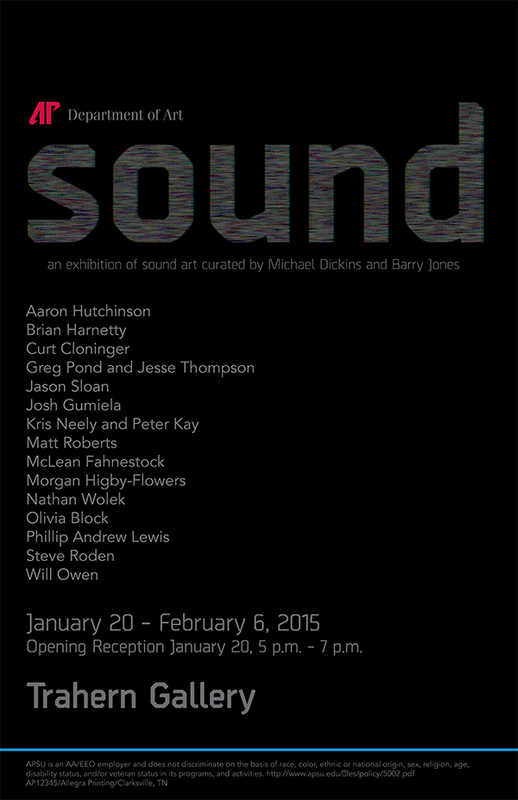 The original sound recurs periodically, a referential layer buried within the feedback and re-sampling. While not musical, the composition of the sounds is determined by software designed to create a theme. This approach is similar, but more basic and fundamental, to that taken in musical arrangement where a simple series of sounds and actions is used to construct a complex work. 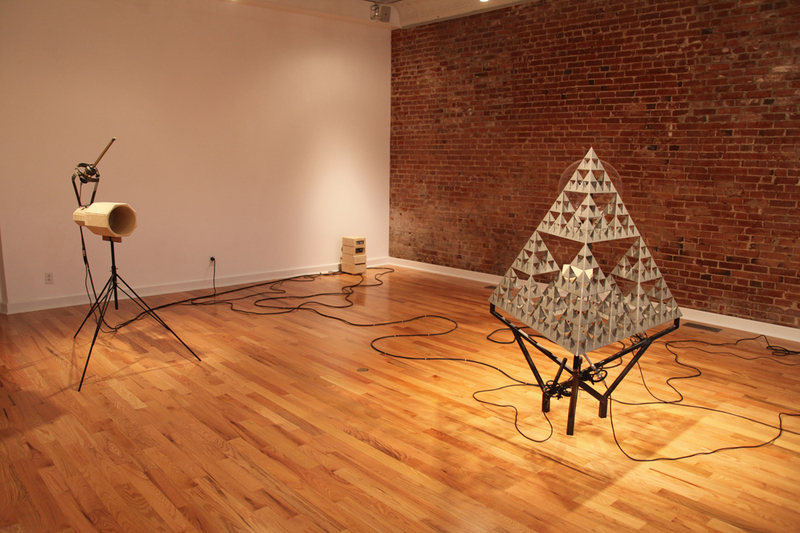 The sculpture in this case is really just a device, not an image conceived as a symbol, made with the intention to draw the acoustic phenomena into focus and render them somewhat transparent. 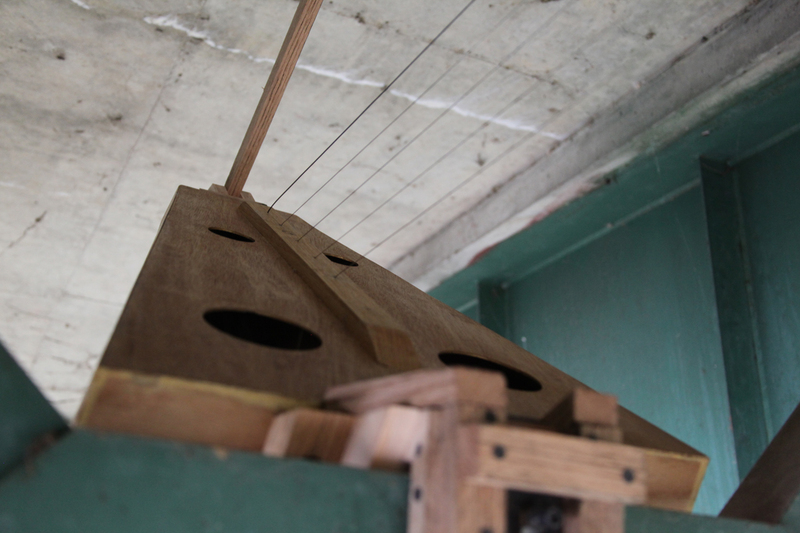 Reflected Territories is a sculptural work that shapes sound with constructed objects and the architecture of the building. 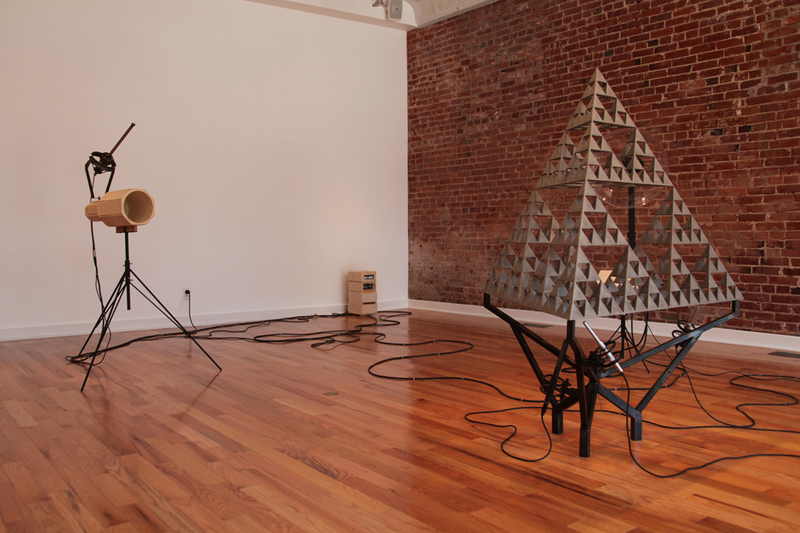 The stainless steel tetrahedron (Serpinski Sponge) has a very distinct affect upon the sound. 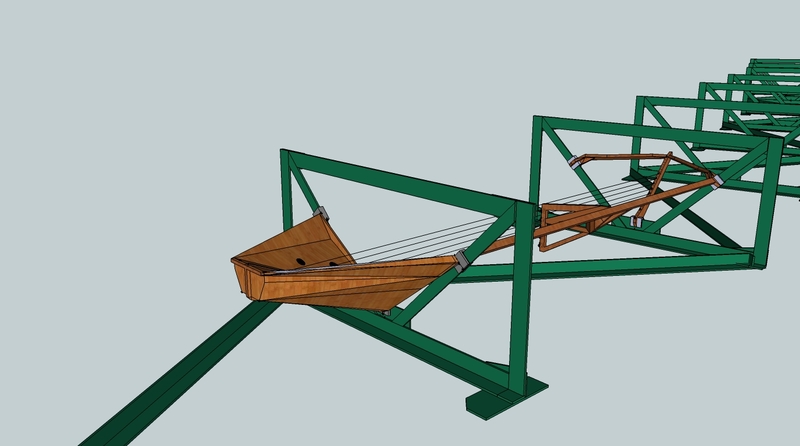 It was designed in collaboration with computer scientists and physicists and made with CNC technologies. It reflects, obstructs, amplifies, or attenuates certain sounds depending on their wavelength and volume. The entire sound field is initiated by introducing a single sound into the room, a recording of one key from a piano in need of tuning which quickly becomes a very complex arrangement of sound. 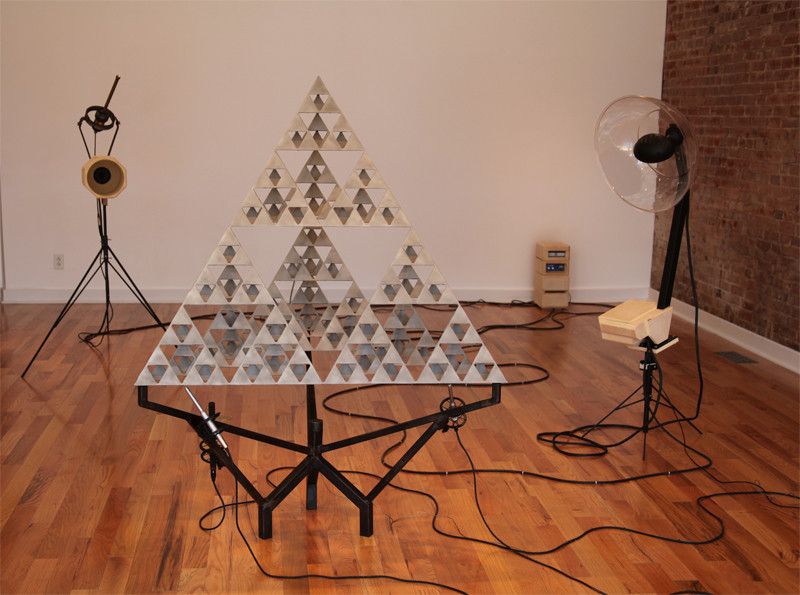 Some frequencies can pass through each of the successively smaller iterations of the open triangles while other are reflected in other directions or killed altogether.Microphones gather the sounds at different points and create a feedback loop of the sounds by sending them back through the small speaker and the larger parabolic speaker placed a few feet from the sculpture. 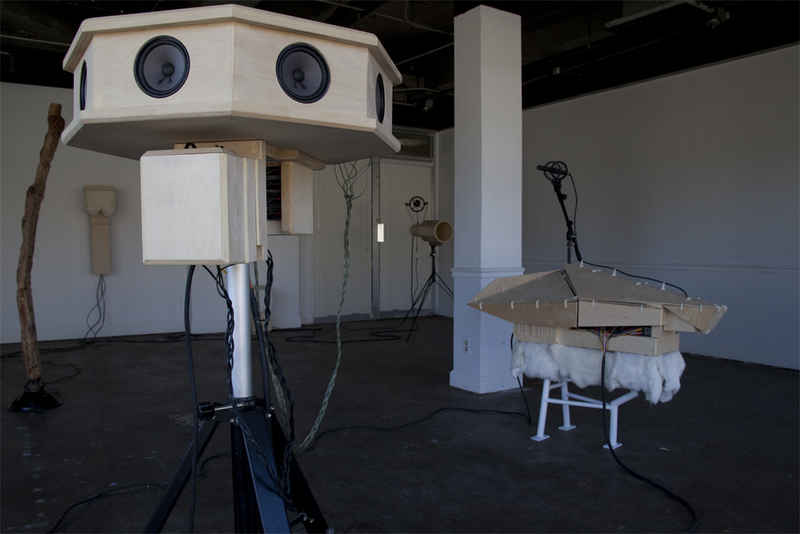 A microphone connected to a second computer captures the resonant frequencies that bounce through the building itself and projects them via the octagonal speaker. The arrangement of the sounds is dictated by what is periodically re-recorded, analyzed, and changed according to coded behaviors. 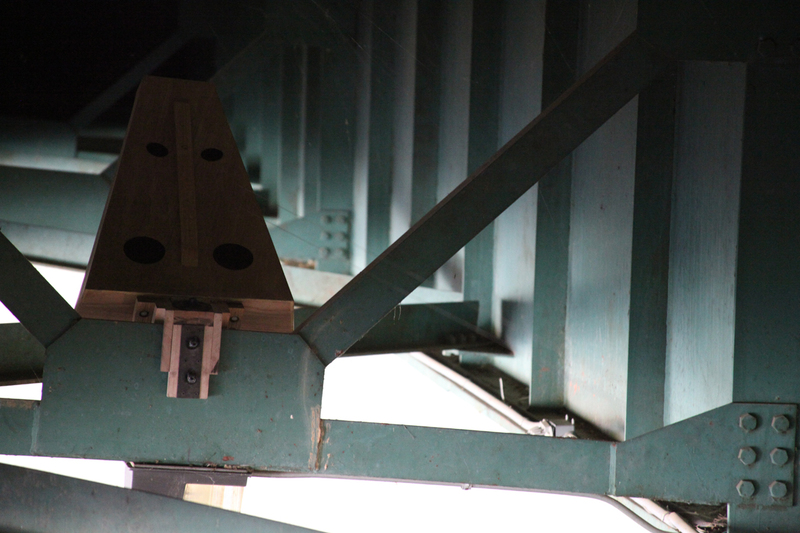 The animal hides provide another set of references but also function to dampen the sound. 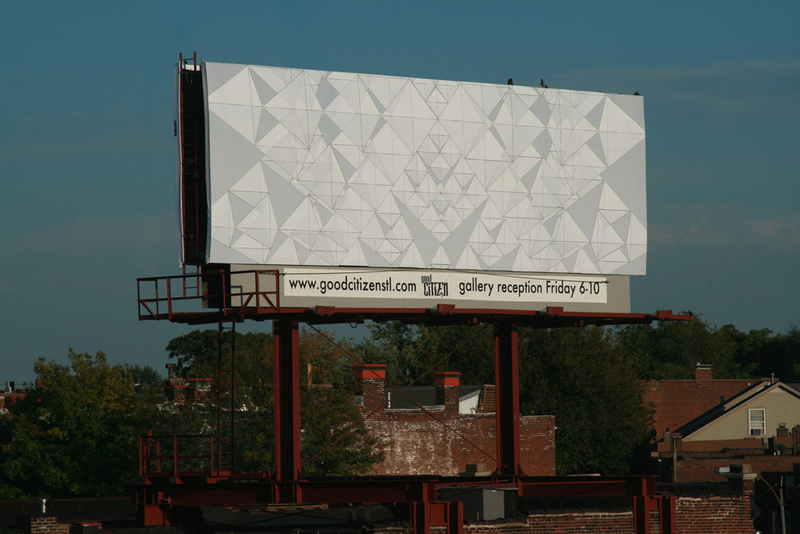 In addition to the installation, Andrew at Good Citizen generously funds the production of work for the billboard atop the building. 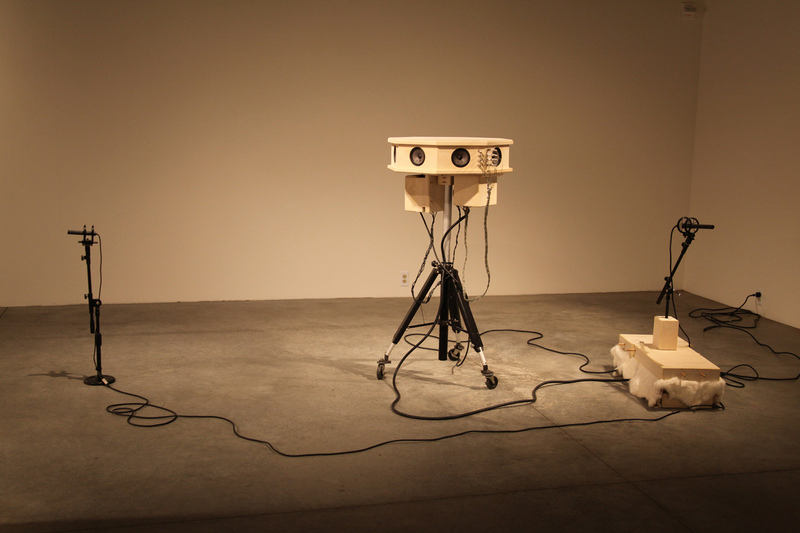 This set is a series of sculptural/acoustic devices that can are compatible with one another and can be configured in various ways. 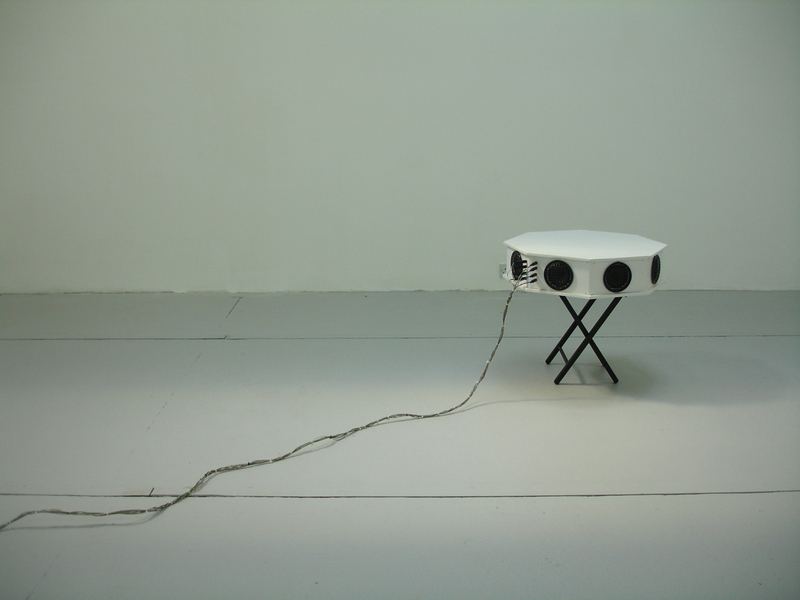 These objects can be physically connected and electronically synced in different arrangements as appropriate to the venue and exhibition. 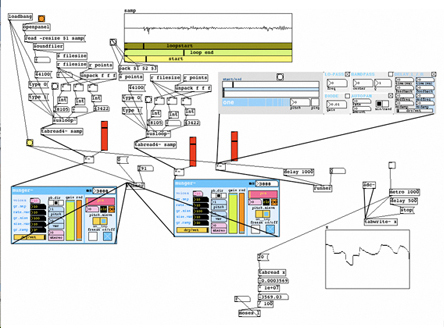 All of the sound is produced by and coded in Pure Data and Processing. 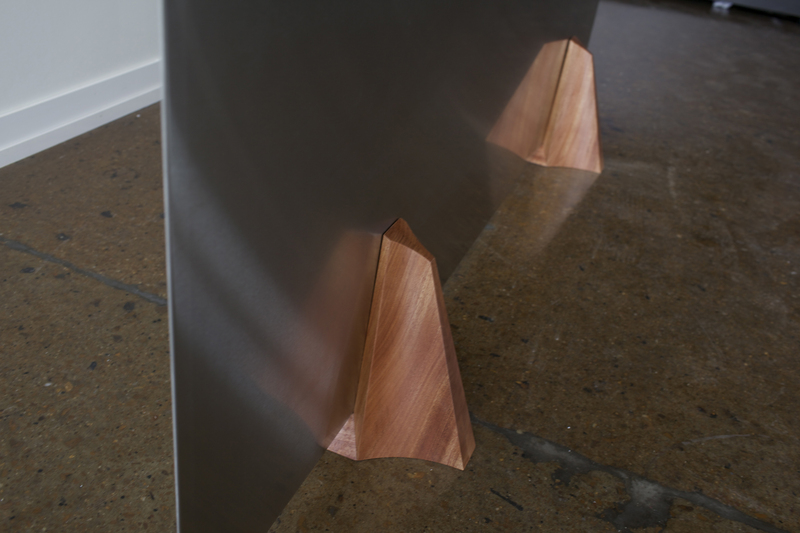 Some of the sculptures were designed using CNC technologies and developed in consultation with acoustic researchers and computer scientists. Additional inputs such as video, light, air quality, and motion detection are sometimes used to affect the composition of the sound. 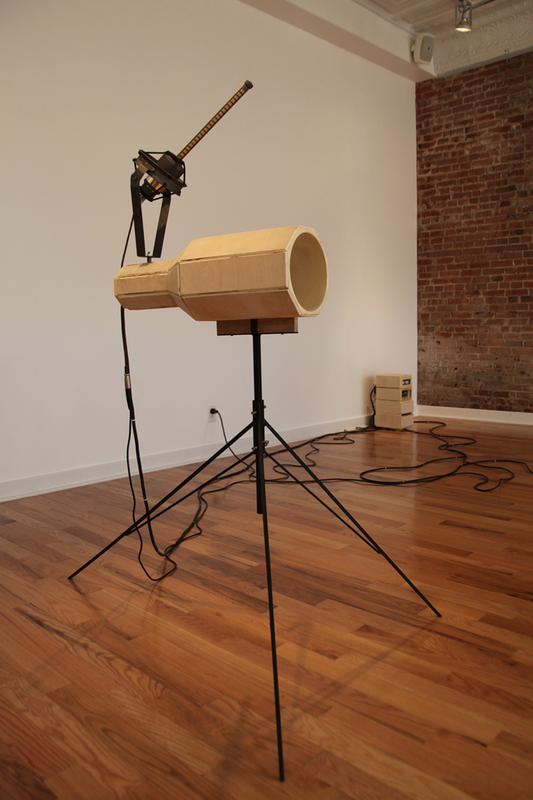 In these works sound is as much the focus of the sculptural/aesthetic presence as the other constructed parts. 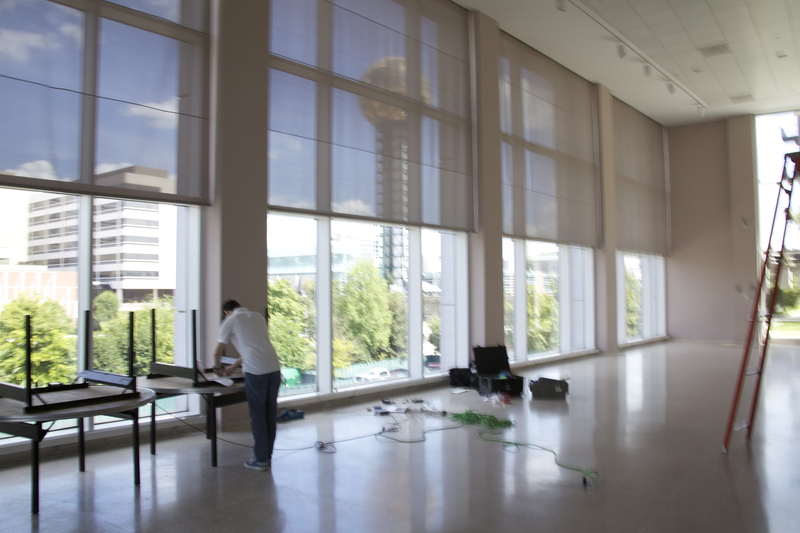 These works are specific to each venue; for each exhibition new programs are written, tuning the sounds and programmed processes to the architecture. The primary audio sources are often pure tones generated by the computer or reprocessed sound samples that are constantly monitored as they are captured by various types of microphones. Most sounds are further manipulated with various programmed filters and effects. These alterations become the structure for coded “behaviors” within the programming that generate a constantly shifting composition. 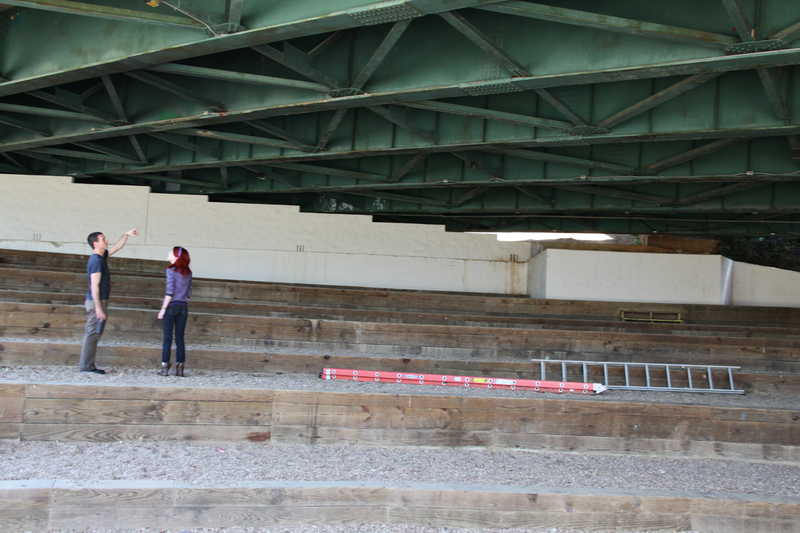 As the sound changes in the space it is analyzed and then often altered, and played back as a constant self-referential feedback loop. 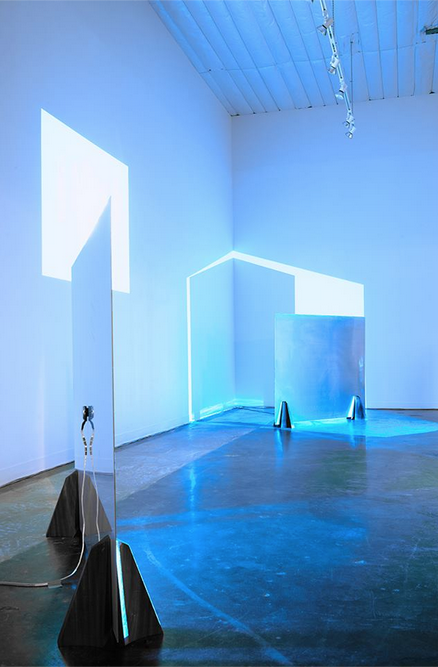 Much of the work follows principles of psycho-acoustics, the perception of sound, with the intent of affecting how the size, shape, orientation of the space itself is understood; sound is a fluid, sculptural medium that affects our sense of place. 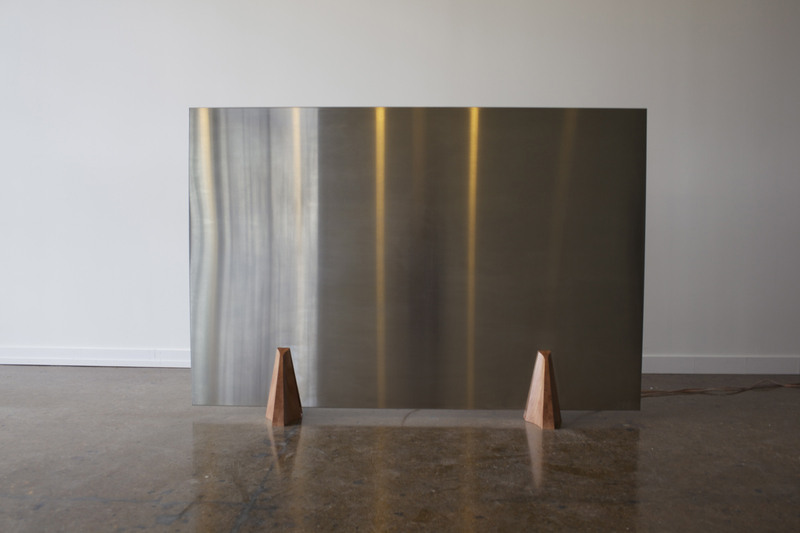 Through the physical properties of sound and how they are perceived, these works address several types of structures simultaneously: our bodies, the sculpture itself, the building, the software, and the invisible architecture of the integrated circuit. 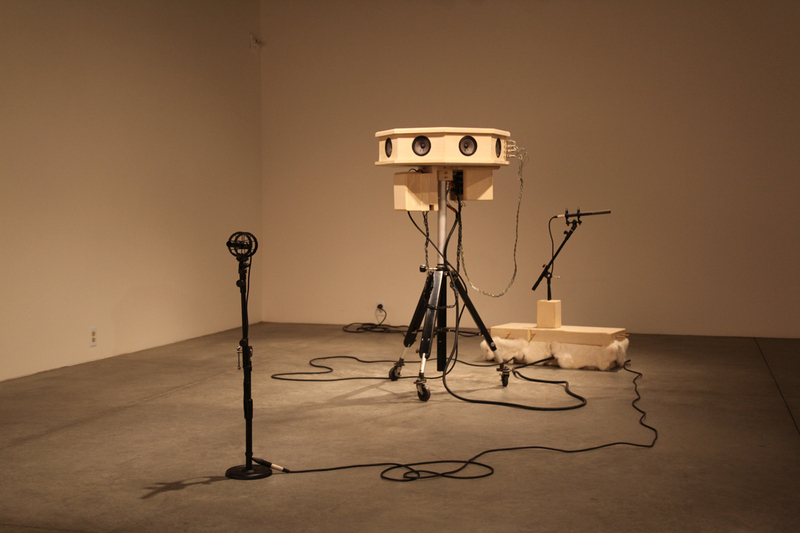 Userland[s] is work that connects a series of sculptures/acoustic devices via an electronic network that emit sound, listen for how the sound behaves in the room and responds with new sounds accordingly. 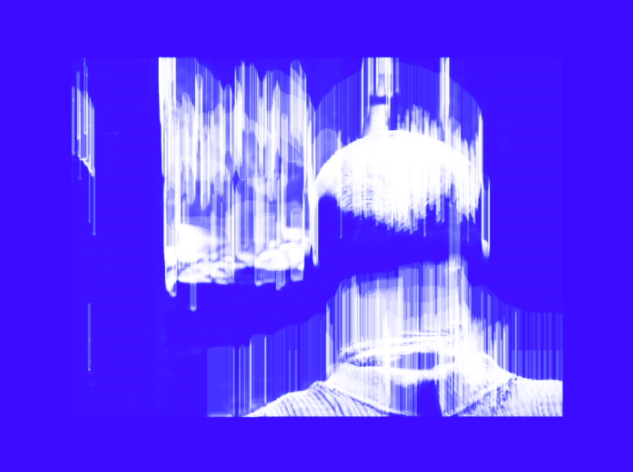 Images generated from the programming are projected. 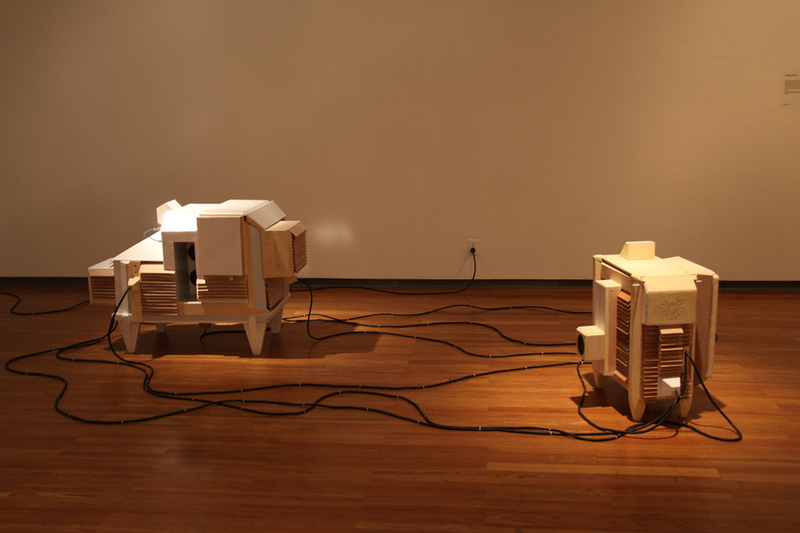 These sculptures are modeled from a variety of different architectural types. 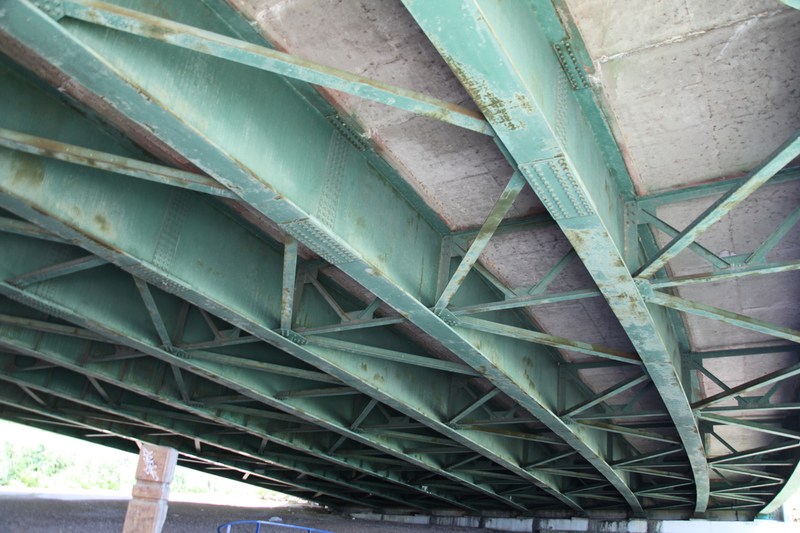 Other data, from light, air pollution, motion, and the distance of nearby objects also affect the sound composition. This gallery existed in a reconditioned lumber mill that straddled a small river. 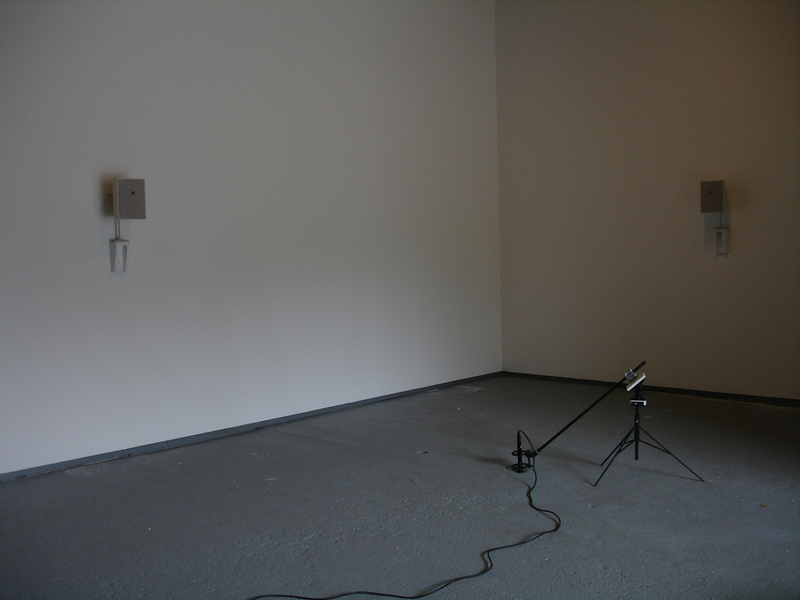 The sound of the passing water was collected by a microphone pointed through a hole in the floor and reprocessed as raised acoustic “waterline” in the gallery. 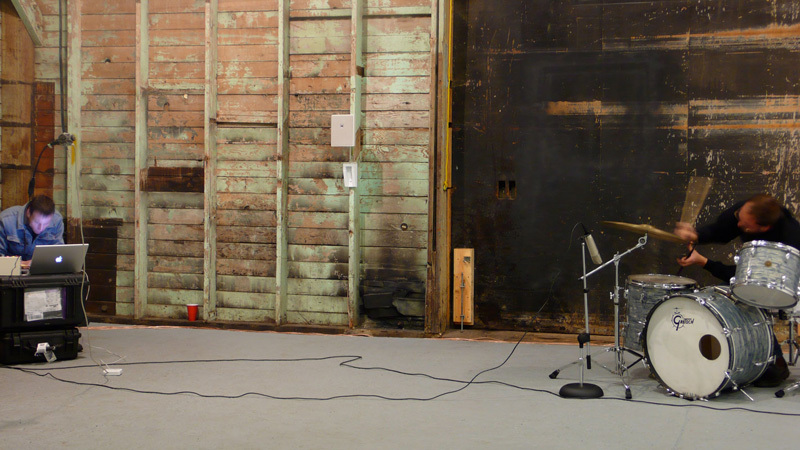 Sound was recollected in the room by another mic and passed through another series of changing, programmed effects. Image below from the live performance during opening- I am playing by plugging into the installation system accompanied by Rob Smith on drums. 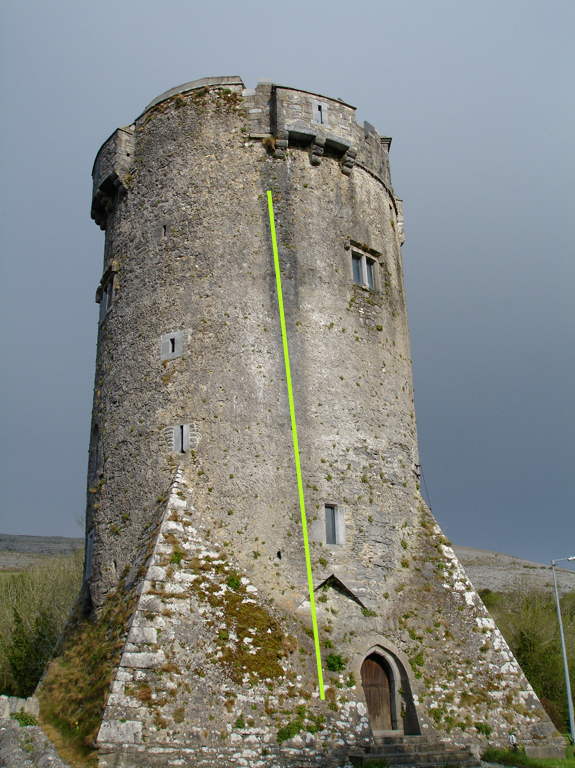 Four sine waves with frequencies within 4-6 hertz of the next in sequence are released into the room. The amplitude of each is controlled to vary in specific patterns. Moveable walls create baffles for the sound that directs its movement. Because the frequencies of the sine waves are so similar, our perception is that the sound waves collide, combine, and change shape at points in the room. At the proper amplitude and position the changes seem to be felt on the skin as well.